Catamaran Series vessels are constructed of all-welded, marine-grade aluminum, featuring a highly stable planing catamaran hull form. 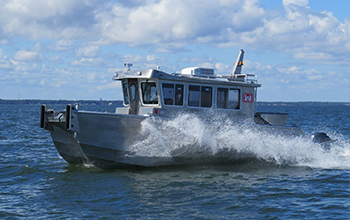 This series is most often used in hydrographic surveying operations, where the abundant deck space inherent with the catamaran hull offers the ability to provide a spacious cabin and working decks. 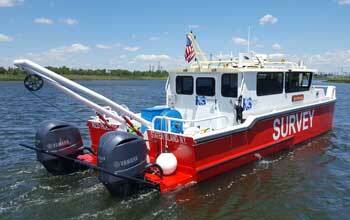 These boats also feature optional retractable sonar mounts and fire system packages. Wide engine spacing with the catamaran series provides excellent docking and maneuverability.